Over the years, there have been a ton of great animated shorts from the NFB, Canada’s National Film Board. 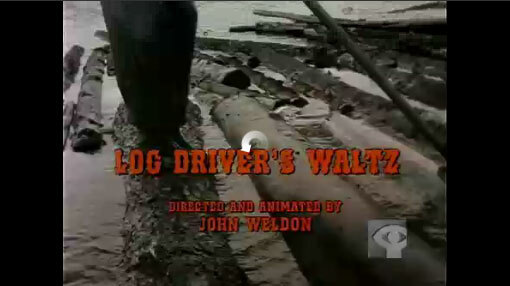 Growing up in Canada, the songs from some of these shorts have become embedded in our brains, and few more so than the lovely, lyrical “Log Driver’s Waltz”. It will always be one of my favorites, for its whimsy and its almost entirely Canadian style of story telling. Based on a song by Canadian Folksong writer Wade Hemsworth, it is sung by Kate and Anna McGarrigle. https://i0.wp.com/www.bullmarketfrogs.com/wp-content/uploads/2015/04/Brindle_pied_frenchbulldog.jpg?fit=662%2C662&ssl=1 662 662 Carol http://www.bullmarketfrogs.com/wp-content/uploads/2015/06/bullmarket-logo.png Carol2010-01-29 06:03:582010-01-29 06:03:58Friday Zen - "The Log Driver's Waltz"
Believe it or not, this is on my iPod. I have now had that song stuck in my head ALL weekend. I had to look up the lyrics on Mudcat, though. .-= Cait´s last blog ..We got blogged! =-.